In many cultures, dragons are believed to ward off evil spirits and malevolent beings from homes. 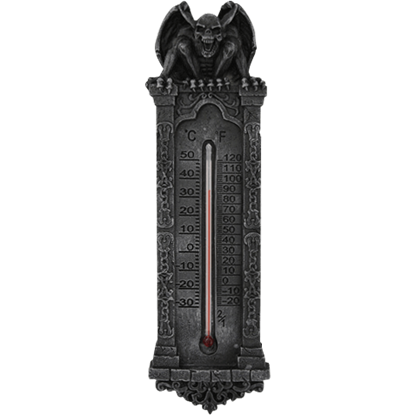 With the Crouching Dragon Cross Thermometer, you can hope to ward off inclement weather every day with the help of this medieval beast. 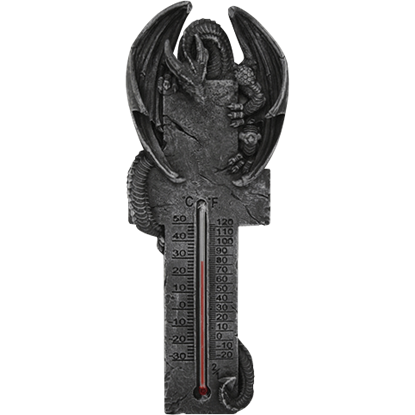 No matter if the weather outside is hot and bone dry or positively bone-chilling, you deserve to always be in the know. 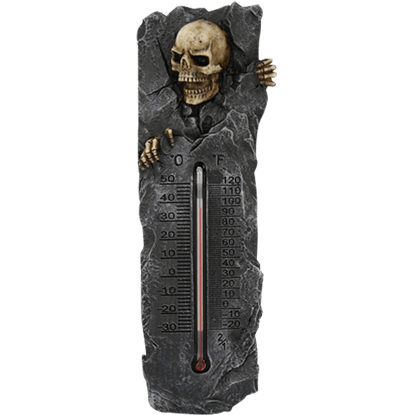 This Skeleton Crypt Thermometer is the perfect way to keep track of the temperature inside or outside of the tomb.